Poppy In The Field. Beautiful Countryside Scenery In Mountains... Stock Photo, Picture And Royalty Free Image. Image 116824856. 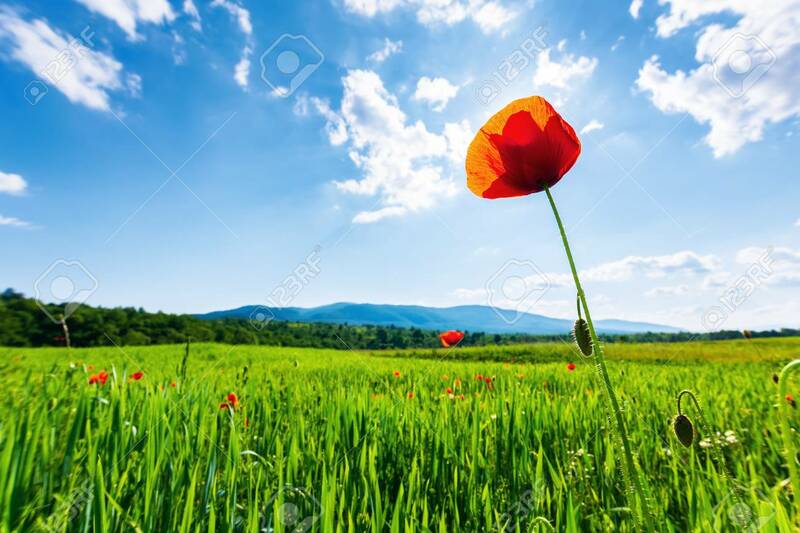 Stock Photo - poppy in the field. beautiful countryside scenery in mountains. sunny day in the late spring. fluffy clouds on the sky. sun behind the flower. blurred natural background. poppy in the field. beautiful countryside scenery in mountains. sunny day in the late spring. fluffy clouds on the sky. sun behind the flower. blurred natural background.